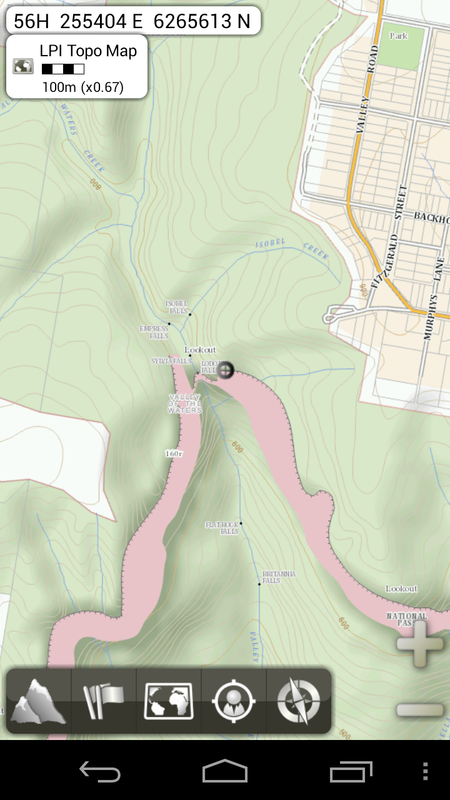 In this post I looked at accessing raster topographic data through LPI’s ArcGIS server, and constructing an offline atlas that could be used on a mobile device. The next logical step was to see if any of the mapping applications for Android/iOS were capable of viewing live data from the server. I looked at a couple of applications that advertise support for the necessary feature, specifically compatibility with the TMS API, which the ArcGis MapServer handles correctly, one must assume at least semi-intentionally. First up, the ArcGIS application itself on iOS – free. This works just fine, and the map is accessed by importing the required map of the LPI server into ArcGIS online. 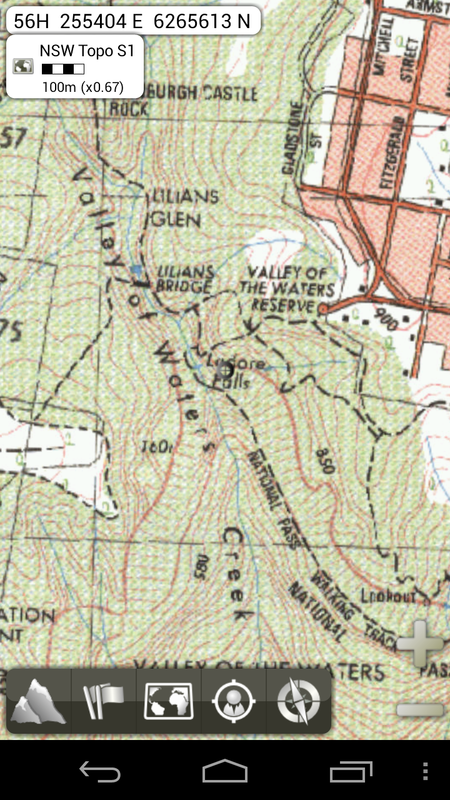 This can be done by passing the URL of the map in question to ArcGIS.com, then ‘saving’ the map to an ArcGIS online account. 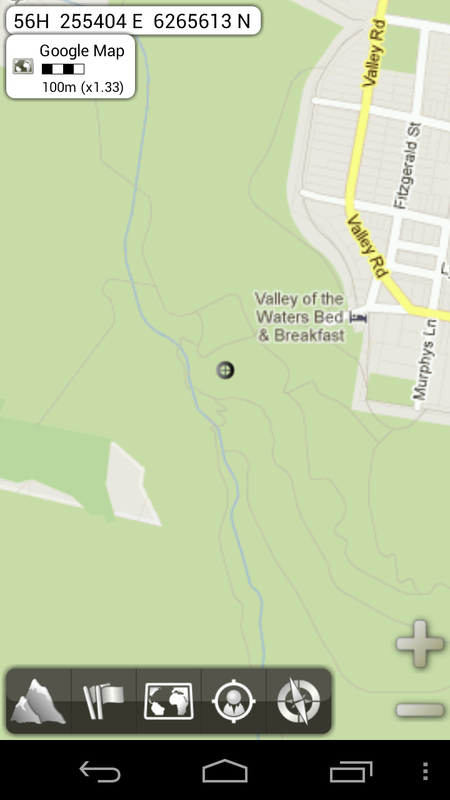 After logging into the same account in the ArcGIS app, the saved map can be accessed and viewed. Presumably the ArcGIS REST API is being used behind the scenes. 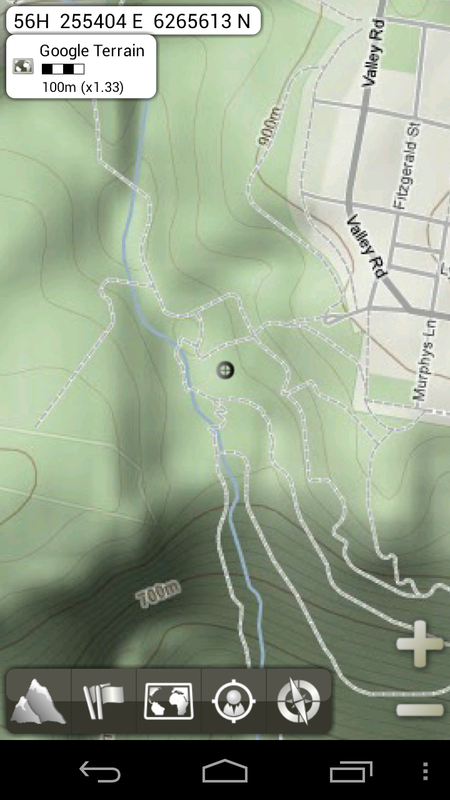 The issue that rules out use of this app for remote area use was the lack of offline caching. To be fair, that’s not what this app is intended to be used for. Second up, also in iOS, Galileo. This app supports more-or-less the same schema XML as MOBAC. I imported the customMapSource I used in MOBAC without any problem, and caching works as expected. I haven’t tested it for navigation beyond basic GPS positioning. The next app I looked at was AlpineQuest, on Android. 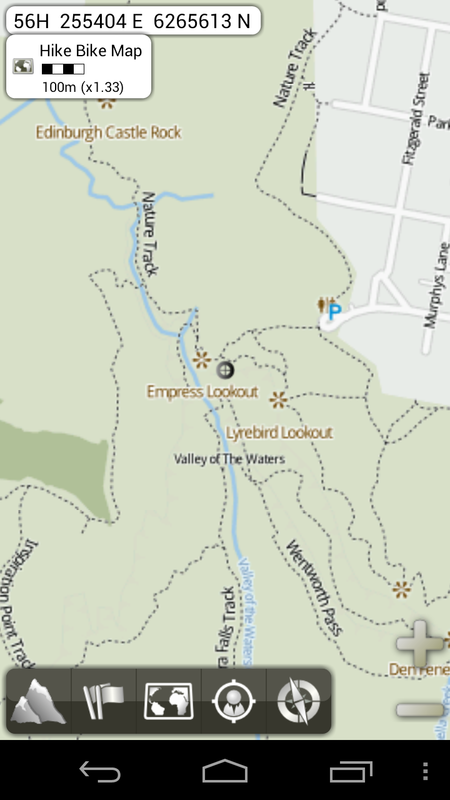 This also supports TMS custom online maps, but uses its own XML schema. Generating this was fairly painless. 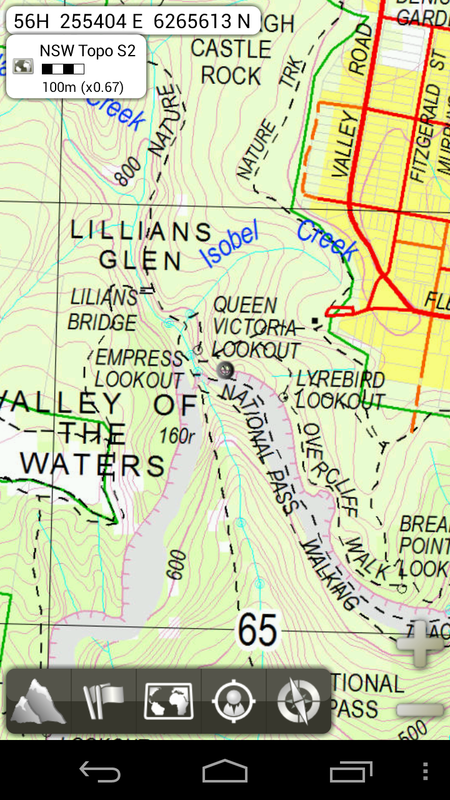 I’ve created a suitable map source that includes the old/new NSW topo maps and the ‘web’ topographic map. You can download it here. Caching works just fine. I personally found this the most usable of all the mobile apps, but YMMV. I discussed this with a friend whilst out canyoning at the weekend and decided to paste in the same map area from various map sources. 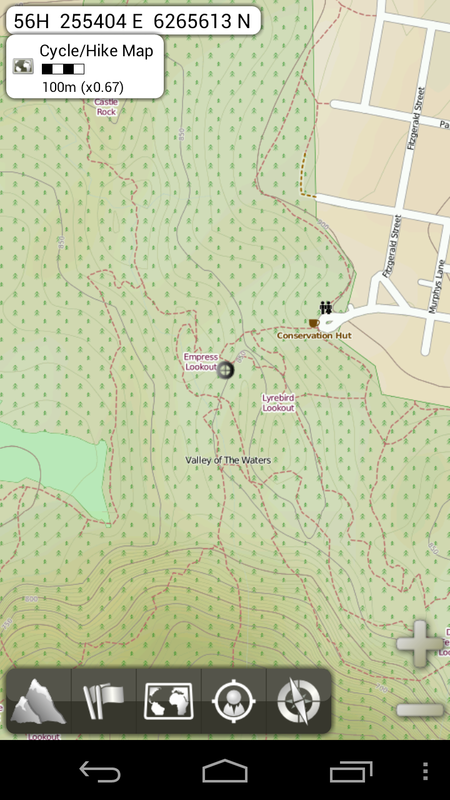 Several people have described the trails marked on local topo maps as being accurate in the same way that CityRail timetables aren’t. 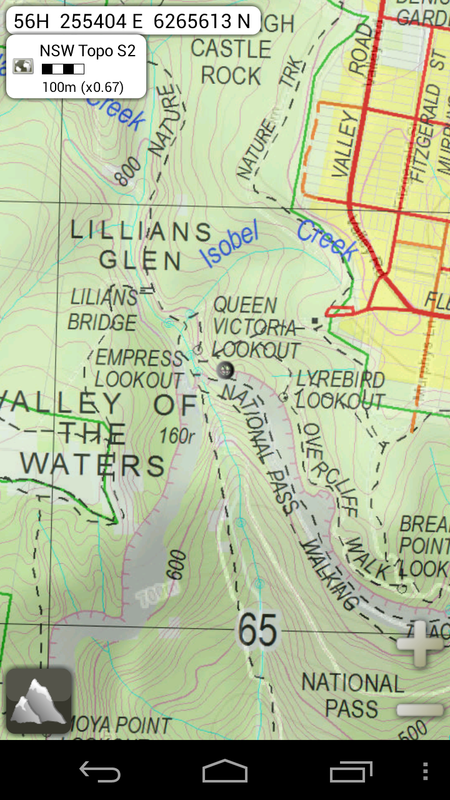 The ‘official’ NSW maps, Google, and Openstreetmap sources are shown here. Make your own mind up…. 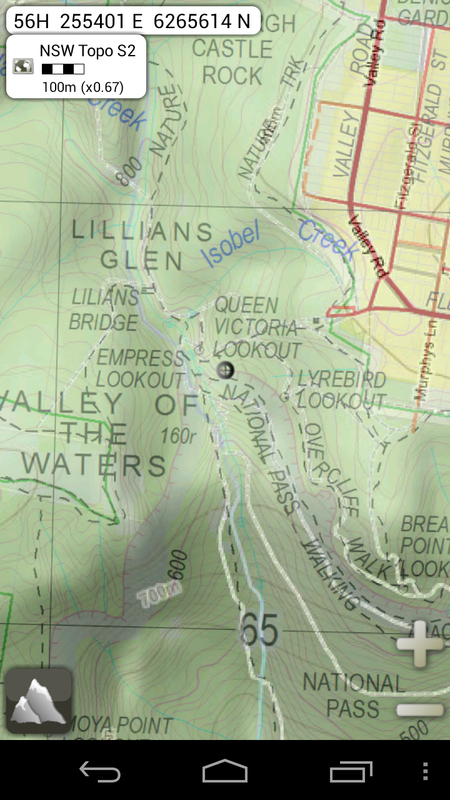 The last two images are the result of an experiment to add hill-shading to the NSW topo maps. AlpineQuest allows for multiple layers with transparency. I couldn’t get the OSM hillshade layers to render, but the Google Terrain overlay adds some depth to the image, though the artefacts from extra data in the terrain layer were, I thought, off-putting.